As I was making dinner tonight, I decided that I needed to write it up as a Dinner during Dora post. This recipe is a bit of a stretch for Dinner during Dora- I have to do some preparation the night before, and even so, the time from entering the kitchen to putting dinner on the table is closer to 35 minutes than 20. But the recipe stays in high rotation in our house because it produces one of the only vegetable-containing substances that Pumpkin will currently eat. 1. 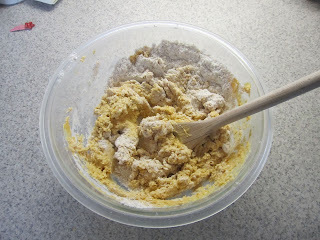 Mix the dry ingredients together in a large bowl and cover the bowl. 2. Measure the pumpkin and yogurt into small bowls, cover, and refrigerate. 3. Grate the Parmesan cheese, cover, and refrigerate. 1. Turn on oven to 400 degrees F and line a cookie sheet with parchment paper (sorry, trees- this makes clean up so much easier). 2. 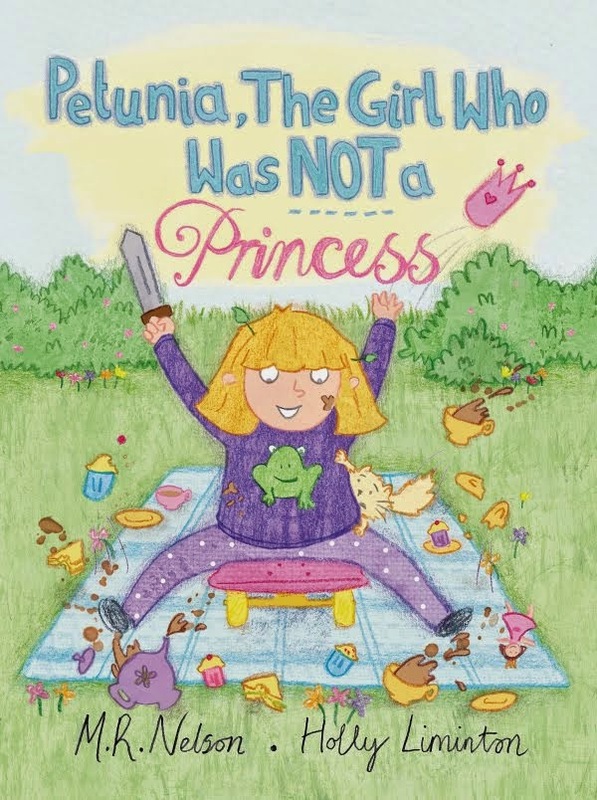 Situate child(ren) in front of TV or other distracting device. I don't recommend letting them in the kitchen to help unless you are willing to have this recipe take 45 minutes. Trust me on this. 3. Cut the butter into the dry ingredients. Or rub it in, using your hands (my preferred method- but either will work). I think you could actually do this the night before, but then you'd have to find room in your fridge for the large bowl as well as the small bowls, and my fridge just isn't up to that task. 4. Crack the egg into a medium size bowl and beat it lightly with a whisk. 5. Dump in the pumpkin and yogurt, and stir with the whisk. I stop stirring and mix the rest by hand. 7. When the mix is mostly one lump of dough, dump it out on a floured surface, and finish mixing/kneading the dough. 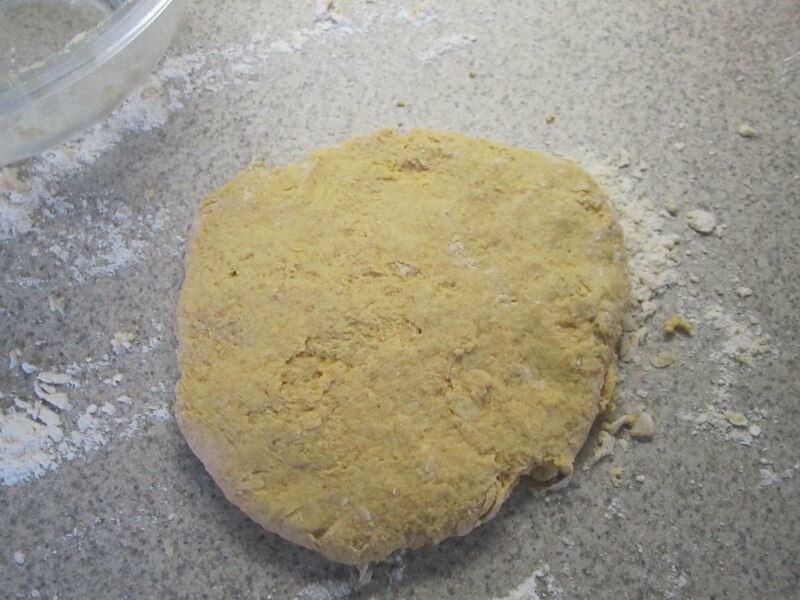 You don't want to over-knead the dough, so just go until all the stray dry ingredients are mixed in, and then give it a couple more turns. 8. Pat it into a circle. 9. Cut into wedges and arrange them on the cookie sheet that you prepped in step 1. 10. Brush the tops of the wedges with a little milk. Sprinkle cheese on top of scones, except for the scone destined for the picky 4 year old who likes cheese on everything except these scones. 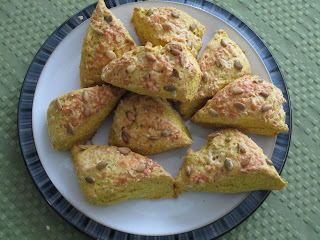 Push 4-5 pumpkinseed kernels into the scones, except for the one for the aforementioned 4 year old and the one for the toddler who you were once afraid might choke on the seeds (and whose love of these scones you are afraid to mess with). 11. Bake at 400 degrees for 20 minutes. I serve these with soup. If we have leftover soup frozen, we use that. Tonight, we didn't, so we had a boxed soup from the grocery store (it was nice- acorn squash-mango). Pumpkin has Campbell's Princess Soup because that is the only soup she likes. Well, she also likes the Dora soup. (Yes, we pick our battles in this house, and soup is not something I care to argue over- some nights everyone gets their own can of soup, so this doesn't feel like the dreaded "short order chef" syndrome to me.) Petunia actually tried some of our soup tonight, and seemed to like it. Source: I modified this recipe slightly from the original, which is from Cooking Light. If you follow the link, you'll notice that a couple of people think that you can't really taste the pumpkin. I agree. This may be why they are so successful in this house. Who eats it: Everyone! Both kids really like these. And so do the grown ups. 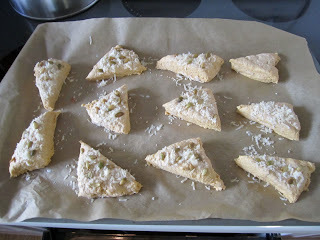 Scones are on big rotation at our house. We love pumpkin scones. I'll have to try adding the parmesan. If you feel guilty using parchment, try a Silpat Liner. I think you can get them at most cooking stores and it's definitely one of my top 5 kitchen products. I freeze my butter and then grate it into the mix. Holy hell, those look delicious!! I'm impressed! Also - I really should write up my adaptation of your carrot cake pancakes. I crossed it with a carrot & banana scone I've made and make carrot and banana pikelets. The pikelets freeze pretty well, so I can make a batch then bag, freeze and then reheat in the toaster or microwave. You could probably mix these up the night before and leave the dough all wrapped up in the fridge so it doesn't dry out. But it does sound like you've got a routine that works. I do love keeping a can of pumpkin around for baking, but mine usually winds up in pumpkin-walnut muffins. Scones are delicious, but cutting in cold butter is pretty annoying (to me) and pouring the batter into muffin cups is lots of fun. Defintely want to try these. Love pumpkin & parmesan. DS loves 'snuffins' so maybe he'll be into scones. @Jac, brilliant: "I freeze my butter and then grate it into the mix." Wow! This sounds so good. Can't wait to try it! This is my 19 month old's current favorite sneaky veggie dinner dish that takes 20min and 1 pot.